Make sure to get plenty of rest. Remember to be grateful. Gratitude is the antidote to anger. Set boundaries, it's alright to say no. Ask yourself, what the consequences are for yourself if you say yes. Start by getting at least eight hours of sleep each night. Start each day by stating ten things you are grateful for. When dealing with friends and family, remember to set boundaries and say no when you need to. It's alright to think of yourself and what the consequences will be to you, if you say yes too many times. And, lastly don't forget about yourself. Do what you need to do to revive. It can be a bubble bath, a yoga class, or just some down time. Don't forget to add in love to your family and friends and enjoy the season. 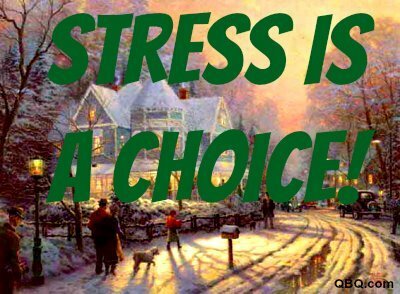 The Holidays don't have to be stressful. Remember to smile and be thankful. This will really help during this time of year. For more help, please call me at (650) 892-0357.